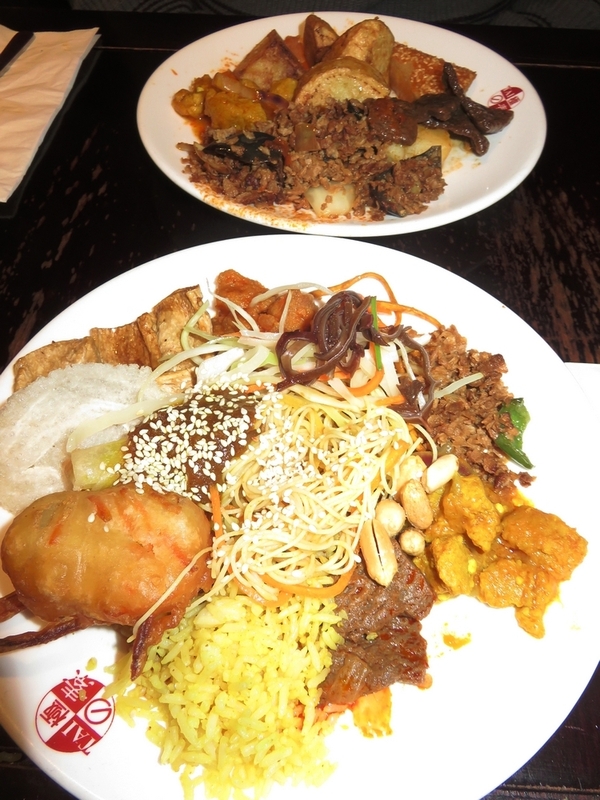 Restaurant review #105 – Tai Buffet is a vegan restaurant in center of London, near Shepherd’s Bush. We went here in the weekend that we were in London for Vegfest London (see review here), in October 2016. I telephoned the restaurant to make a reservation, and the girl at the phone said there is always a place available, but she did reserve a table for us. That appeared not to be necessary, there was still plenty of room (about 7PM on a Sunday evening). 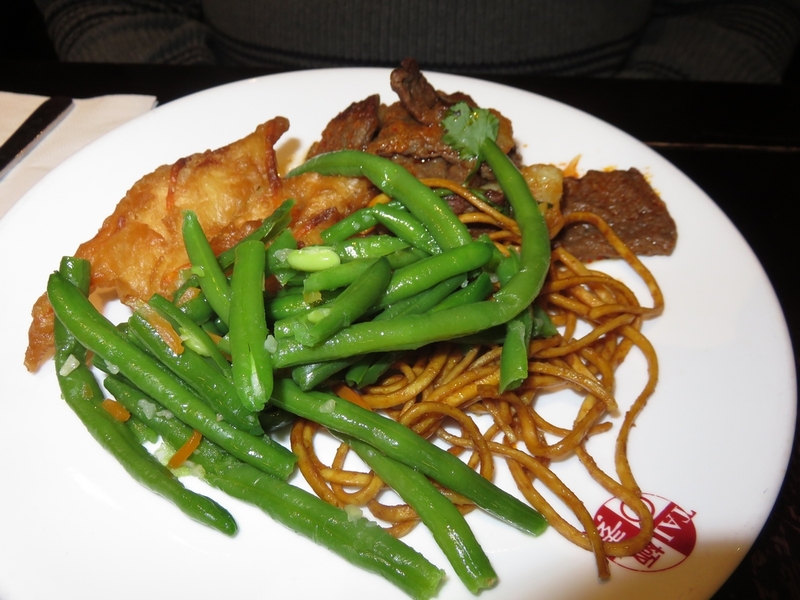 Tai buffet offers an all you can eat buffet. I did notice a sign that you can only be there for maximum two hours. I could easily see why they had to put that up there (there was a guy next to us who had already gone to take a full plate four times and was still continuing to eat when we left!). 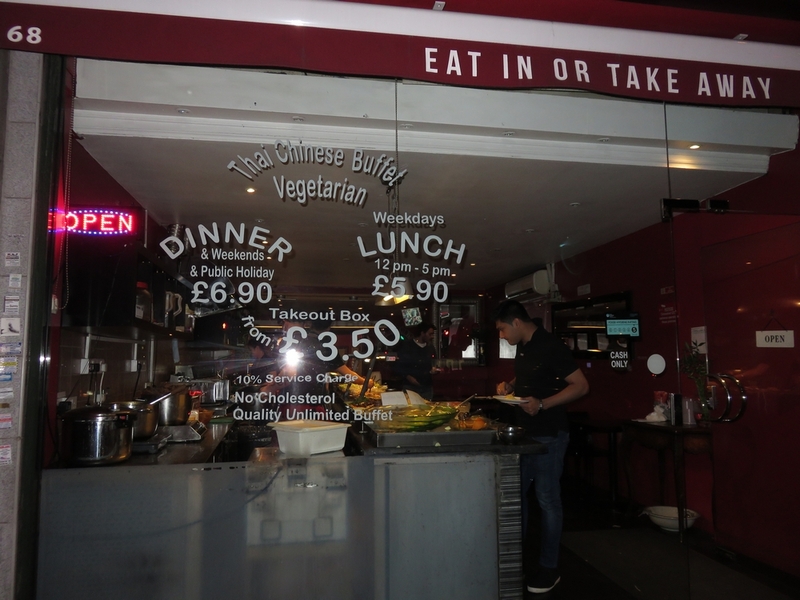 A bit uncertain whether it was all vegetarian or vegan (on the window it read ‘vegetarian restaurant’). The guy behind the counter assured me that it was all vegan: no eggs, no dairy! Allright! 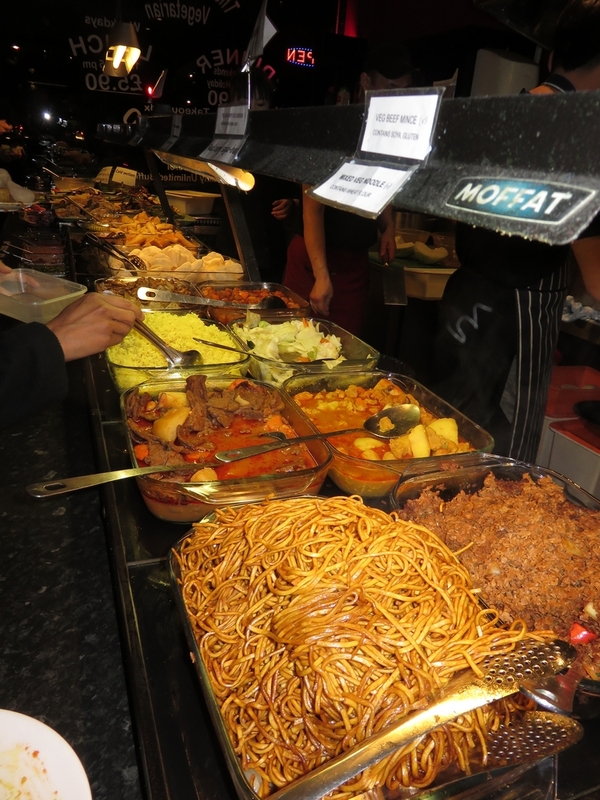 The buffet contained lots of mockmeats, and lots of dishes heavy in sauce. 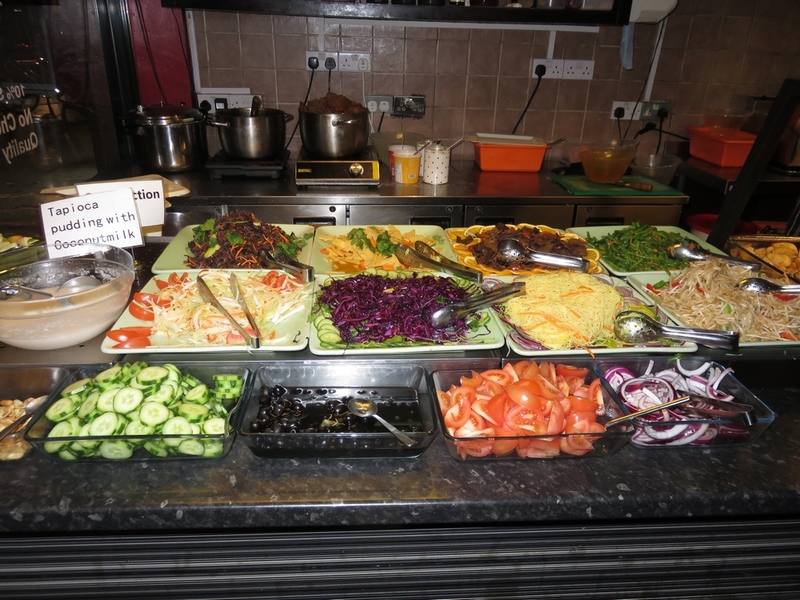 But also a nice selection of vegetables at the end of the buffet, and some desserts. The buffet is only £6,90. Very cheap! 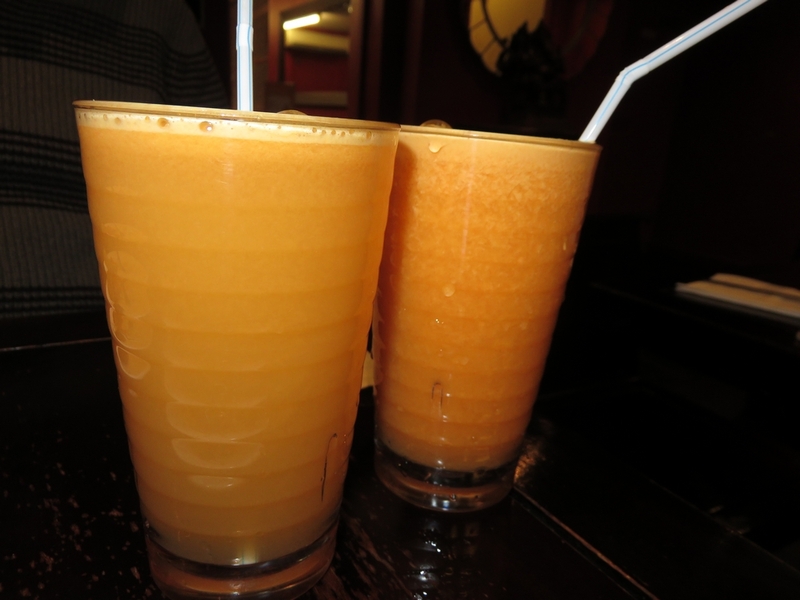 We both had a fresh mixed juice, which was only only £2,50 a piece!! 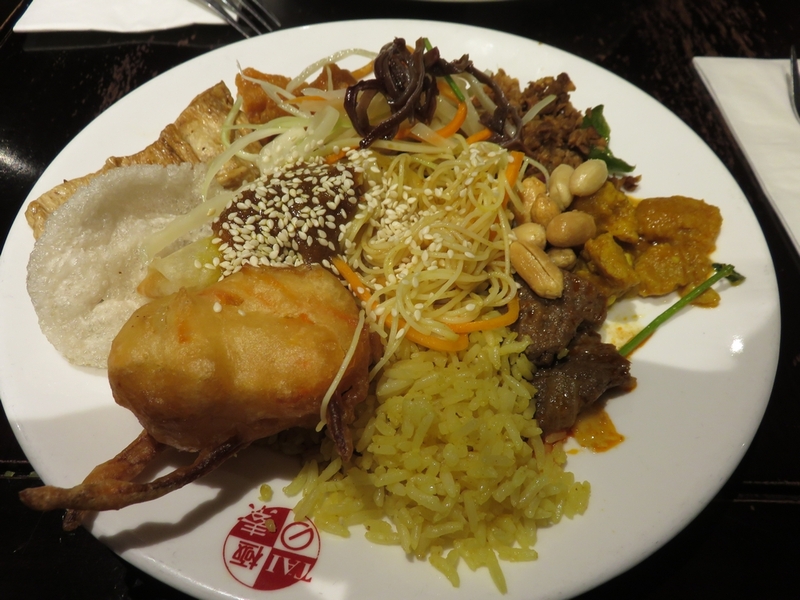 Tai Buffet is not a restaurant for relaxed wining and dining. Tables and chairs are very close next to one another, and the place is packed. From what I could see, there are two dining rooms, one next to the buffet (in front) and another in the back of the restaurant. The floor had a ‘sticky’ feel to it (as did the stairs going down to the toilets and the floor downstairs). The food was nice, although quite greasy (which my belly did not respond to quite well soon afterwards!). But it is of course very, very cheap, and good value for money! 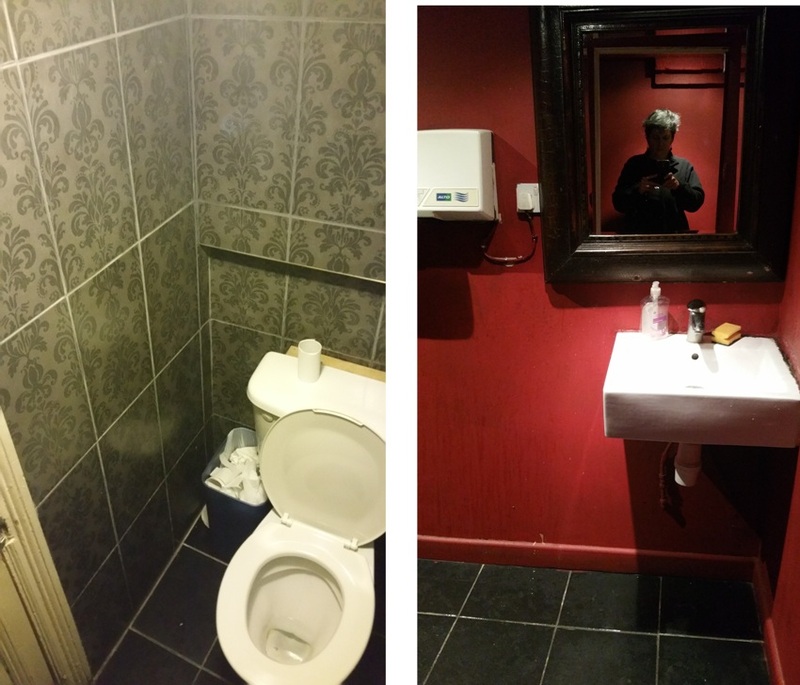 Toilets at Tai Buffet, London, could be cleaner (greasy) ! Hey! Great review 🙂 There’s one of these Thai buffet restaurants at the Angel Islington too, it’s fantastic, I used to go there all the time a few years ago. Try it if you can! I’d love to go back to London soon to try out all these places! There are so many options in London! I love the fact that your reviews are always honest and don’t just gloss over the cracks. Keep it up guys! Thank you! 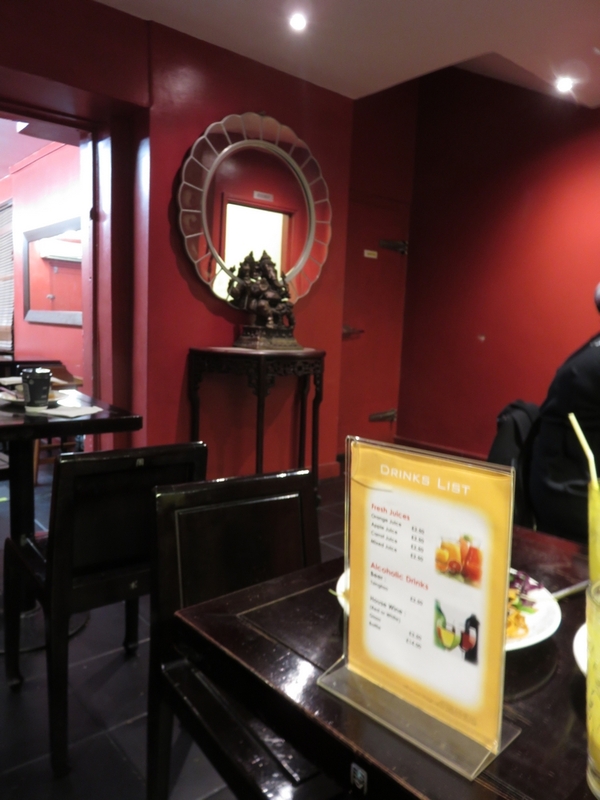 I realize a restaurant review is always a subjective account, but we do try to look at the global picture when writing a restaurant review, but even that is of course shaped by our own personal preferences and taste. Thanks for the link Hella! So many places to check out! Would love to visit London again soon. Do you also have a blog? The link doesn’t show in your gravatar. hi Trudi-no, don’t have a blog! (too many other things to do:-)))Yes, there are many varied veg/vegan restaurants/cafes in London,and new ones opening all the time. Before I even read your post, I looked through the pictures and that was my first thought….that the dishes looked somewhat oily! I’m trying to delete oil from my diet, so this place wouldn’t work for me. Great information, thanks! 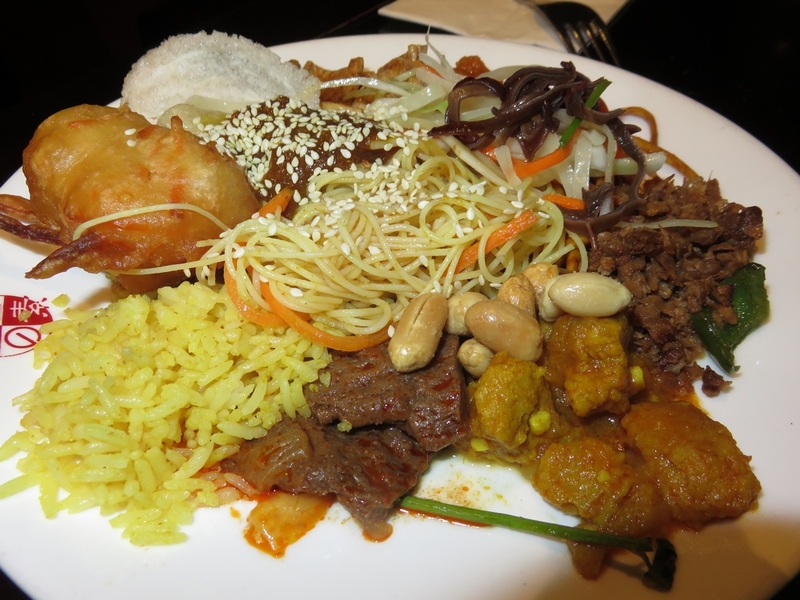 The selection of vegetables in the buffet was better, but indeed, overall very heavy on oil. Sounds fab. just my thing 🙂 I must try next time I’m in London! It’s really super cheap! Great value for money! I’ve been here before and will go back again this weekend. Love this place! I just heard of a pizza place in the same neighboorhood that caters to vegans so I’ll try that out too! Even the appetizers are clearly labeled in addition to a separate vegan pizza section.